The British Library’s recent announcement that it has acquired the PG Wodehouse archive is a belated recognition of one of the most beloved – and influential – of all comic writers in the English language. Wodehouse’s work will form part of the library’s substantial 20th-century holdings, alongside other “greats” of British literature, such as Virginia Woolf, Evelyn Waugh, Ted Hughes, Angela Carter and JG Ballard. Wodehouse (1881-1975), the creator of the Jeeves & Wooster stories, has a loyal and ever-expanding fan base – but his popularity has always been tainted by his infamous “Berlin Broadcasts” made during World War II. For many critics and fervent patriots, these broadcasts suggested that Wodehouse had collaborated with the Nazis. When the war broke out in September 1939, Wodehouse and his wife Ethel lived in Le Touquet, within convenient distance of both Cherbourg, for the cross-channel ferries, and Paris. 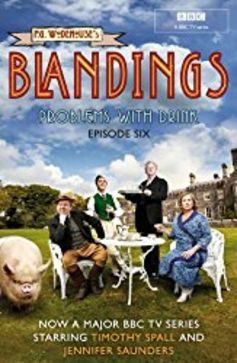 Rather than immediately returning to England, the Wodehouses decided to stay put – and this decision was to prove fateful. When the Blitzkrieg started and the Nazis invaded France, Wodehouse’s escape route was cut off. On July 21, 1940, a new decree announced that all English males in occupied France under the age of 60 were to be immediately interned. Wodehouse was first sent to a prison close to Lille and from there to internment camps in Liège and Huy (Belgium). Finally he was sent to Tost in Upper Silesia where he remained until June 1941. 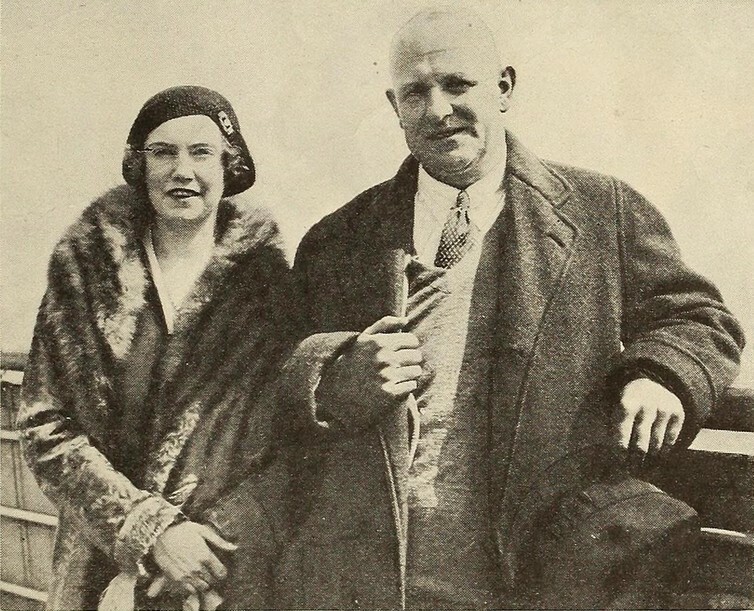 PG Wodehouse with his adopted daughter, Leonora, in 1930. Courteously, openly, and without much thought for the consequences, imagining that any publicity would simply reassure his numerous readers that he was, despite the war, alive and well and in good spirits. The interview with Thuermer, published in The New York Times in late December, 1940 also paved the way for an article by Wodehouse for the Sunday Evening Post, which ran under the headline: “My War with Germany”, in which he described his life in the internment camp with his accustomed – but in this case, tragically ill-judged – lightheartedness and humour. There is a good deal to be said for internment. It keeps you out of the saloon and helps you to keep up with your reading. The chief trouble is that it means you are away from home for a long time. When I join my wife I had better take along a letter of introduction to be on the safe side. As a direct response to the interview with Thuermer, Wodehouse’s American friends started campaigning even harder for his release and it was this political agitation that attracted the notice of leading Nazis in Berlin who only then became aware of the propaganda potential of their prisoner. The political manoeuvres that followed in Berlin, especially between the Ministry of Propaganda, led by Josef Goebbels, and the Foreign Office, under Joachim von Ribbentrop, are too complex to be set out in detail here, but they resulted in five light-hearted broadcasts about his internment in Germany. His main idea … was to keep in touch with his public and – the comedian’s ruling passion – to get a laugh. His broadcasts were entirely free of any political commentary or partisanship. Nevertheless, the Nazis used his broadcasts for their own political means, primarily in a brazen attempt to show themselves as treating foreign prisoners humanely – and as a gesture to stop the US from joining the war. In Britain, they earned Wodehouse the label of being a traitor to the war effort and – worst of all – of being a Nazi sympathiser, a label that stuck to him for the rest of his life. What had led to Wodehouse’s ill-judged participation in interviews and broadcasts was his own political naivety, the fact that he had been isolated from friends and advisors for months preceding the broadcasts and his craving for a return to his “normal” quiet routine as a writer. These are not excuses for a decision that could, at best, be labelled as rash, at worst as plain stupid. Yet it is symptomatic of a certain generation and class of Britons who had no interest in politics and gladly detached themselves from the real world. For Wodehouse, the idea of a political dictator was something to be laughed at, to be ridiculed. Think of his depiction of the fascist leader, Sir Roderick Spode, in his 1938 novel, The Code of the Woosters. Spode is a fatuous blowhard, somebody who agitates and who potentially manages to unite some people under his banner for a short time – but who is, ultimately, shown up as inept and bumbling and who quickly disappears from public life. 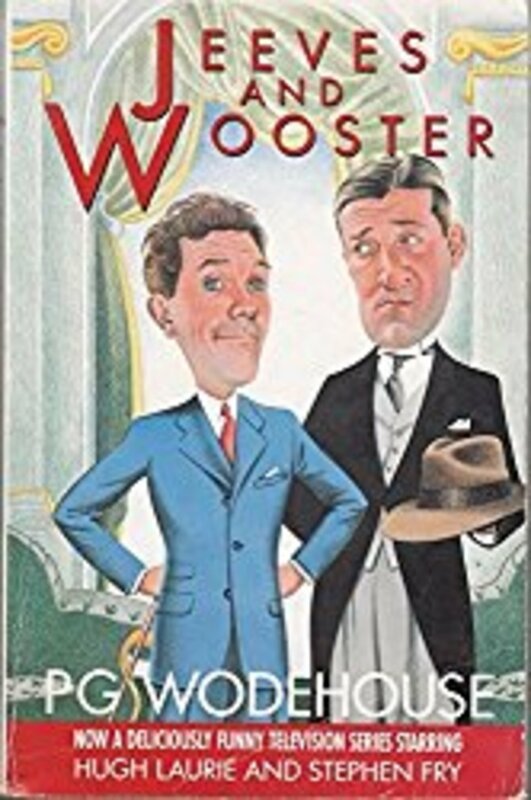 Jeeves and Wooster: inimitable Belgravia double act. In the mid 1950s, Wodehouse’s fellow writer Nancy Mitford, a stout socialist for most of her life, condemned her own politically naïve attitude towards fascism in the inter-war years with the words: “We were young & high-spirited then & didn’t know about Buchenwald.” In both Mitford’s and Wodehouse’s cases, it was probably more a question of “choosing” to ignore what went on in the world – and Wodehouse certainly paid the price for his poor judgement. Although an official report into his alleged collaboration with the Nazis, submitted in liberated Paris on September 28 1944, exonerated Wodehouse, it also condemned him as a political naïve – “susceptible to any form of flattery”. Feeling a political and social outcast in post-war Britain, Wodehouse settled in the US. Towards the end of his life, there were some official gestures towards forgiveness, especially the 1973 knighthood for services to literature, which Wodehouse himself considered as the Establishment’s “way of saying, that’s that”. He died on Valentine’s Day 1975. The British Library’s acquisition of Wodehouse’s archive, including his war-time papers, is an important step towards the recognition of PG Wodehouse as a great of 20th-century British literature – not just as a comic writer but as an accomplished artist who enriched English culture through a host of immortal characters. 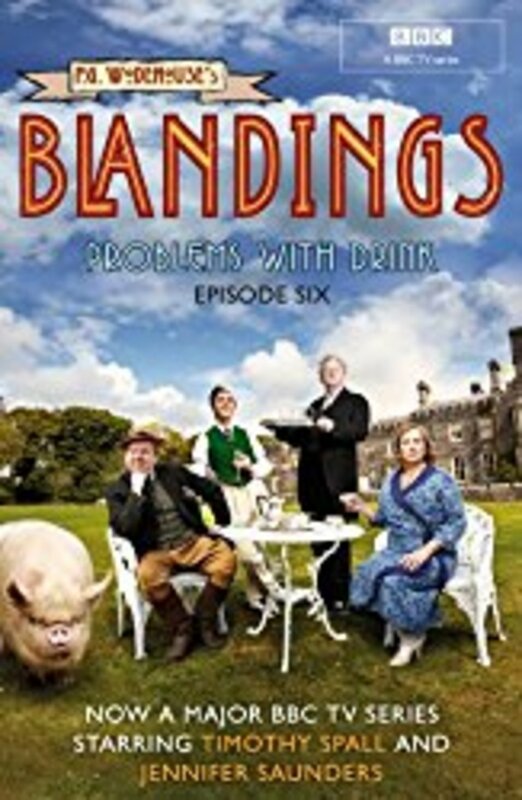 Blandings: a country house idyll that has translated effortlessly to screen. From Bertie Wooster and his man Jeeves, steeped in Belgravia high life, to Lord Emsworth and his pig the Empress of Blandings, to Wodehouse’s effortless cast of wisecracking roués, formidable maiden aunts, lovelorn debutantes and clueless suitors, he lovingly celebrated and satirised a uniquely English way of life which had already disappeared forever. In the words of Kathryn Johnson, the curator of the British Library: “People are coming to acknowledge that he was a truly great English stylist.” Having his private papers, especially his wartime ones, in the public domain will mean that the circumstances of the Berlin broadcasts can be examined and assessed more critically and more openly. But it is also an acknowledgement that, controversy aside, Wodehouse is one of English literature’s immortals.